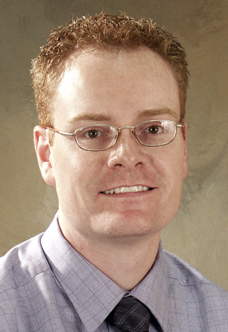 Douglas F. Brewer, DPM, is a member of the 11th Street Orthopedic service in Kalamazoo. Together with Dr. James Jastifer, they will provide a comprehensive podiatry service, from medical to surgical treatment of the foot and ankle. Dr. Brewer completed his undergraduate education at Western Michigan ... Read More University and his podiatry training at the Dr. William M. Scholl College of Podiatric Medicine in Chicago. He completed a comprehensive three-year residency at Botsford Hospital in Farmington Hills through Michigan State University. He has additionally completed specialty course work, with certification, in a number of areas involving foot and ankle. He is Board-certified in foot and ankle surgery. Among his many awards, he received the Scholl Merit Scholarship Award, the Golden Key National Honor Society Award and the Golden Medallion Academic Scholarship Award (WMU). Dr. Brewer also traveled to Honduras for a community project for crippled children in 2003. Locally, he coordinates the Chemistry Tutor for Mentor/Mentee Program for Kalamzoo Public Schools. He is also works with the Greater Kalamazoo United Way.